Driven by low interest rates and easy credit, businesses and consumers have been taking on excessive leverage and ignoring downside risk. That same leverage is now being unwound and financial asset prices are falling dramatically. 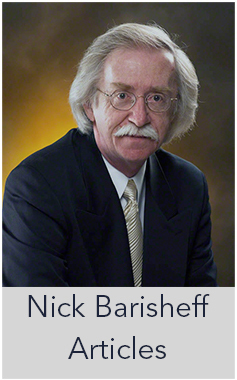 In this extraordinary environment, preserving your personal wealth becomes priority one. Or, in other words, return of capital and not return on capital is priority one. Tere are three key courses of action available to those who wish to safeguard their portfolios from further damage. The first is to bolster portfolio diversification beyond stocks, bonds and cash (the three traditional asset classes). The second is to understand the true size and cost of inflation and fully hedge against it. The third is to recognize where we are in the investment cycle so as to take advantage of a generational opportunity. Let’s examine these three keys in more detail. If you’re like most sophisticated investors, you know your portfolio should be fully diversified. But it is hazardous to your wealth to include only three asset classes. Cash may seem to be a safe haven but it won’t protect against rising inflation, and as we have seen with money market funds, it can actually lose money in nominal and real terms. Adding bonds to your portfolio does not provide true diversification because according to Ibbotson Associates, a leading authority on asset allocation, stocks and bonds have been positively correlated since 1969 (see Figure 1). Why is this so? Because today’s sophisticated financial markets are, for all intents and purposes, globally integrated. Modern portfolio theory tells us that having the right mix of uncorrelated assets reduces risk and improves return. Yet few investors take advantage of all the available asset classes, and fewer still realize that precious metals are the most negatively correlated asset class to stocks and bonds. That’s why truly diversified portfolios should always include these additional three asset classes: real estate, commodities, and precious metals. Key 3 will discuss what allocations to use. 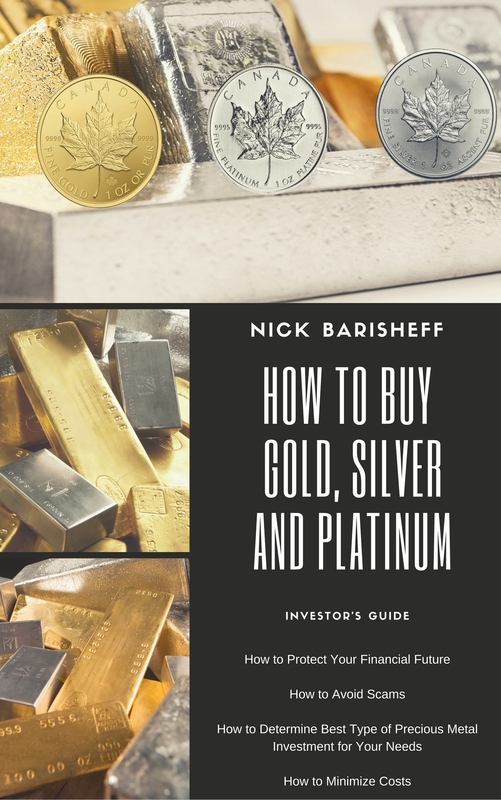 Ibbotson Associates studied the portfolio diversification benefits of precious metals (gold, silver and platinum bullion). 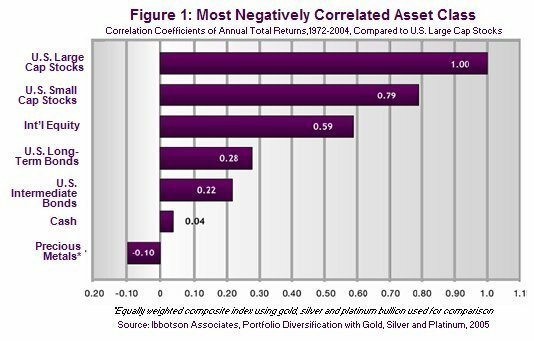 They determined that precious metals are the most negatively correlated asset class, they are a hedge against inflation, and that they provide positive returns when they are needed most. Inflation has always been an important element in financial planning, but now it is moving to centre stage. The Consumer Price Index, the most common measure of inflation, has risen to a startling 5.6%. But many experts, including Bill Gross, manager of PIMCO, the world’s largest bond fund, say America’s CPI understates true inflation. Today’s CPI is calculated using a complex re-weighting formula that is riddled with substitutions, exclusions, hedonic adjustments and geometric weighting. If we were to recreate the CPI using the original 1980s formula, we would discover that inflation is running above 13%. 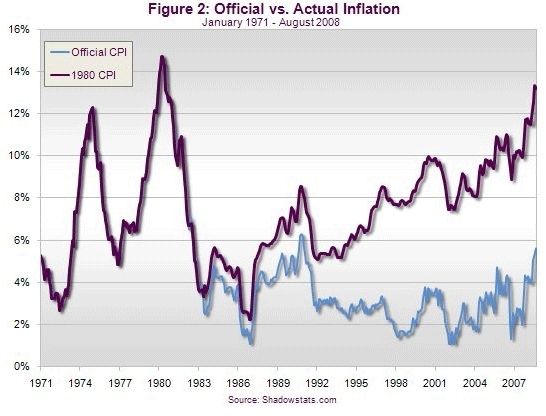 Figure 2 shows economist John Williams of Shadow Government Statistics, data of Official CPI vs. 1980 CPI. For more information on this visithttp://www.shadowstats.com/. In Canada, there is a similar understatement of inflation. Intelligent investment decisions can’t be made without knowing if we are in a high or low inflation environment. In a 5% inflation environment, bonds paying 5% won’t lose money to inflation. But what if real inflation is running closer to13%, as many experts think? Then that 5% return bond is a guaranteed 8% loss. For a detailed comparison of holding bonds for income vs. taking systematic withdrawals from BMG BullionFund, please visitwww.bmgbullion.com/bondsvsbullion. 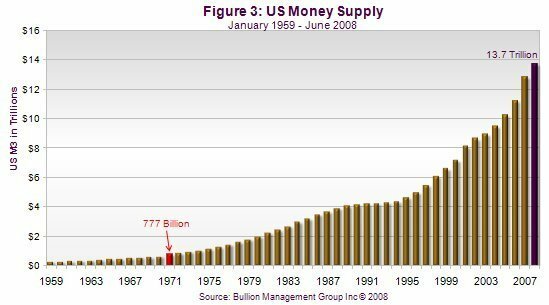 In recent years, the money supply issued by central banks globally has been growing at an alarming rate. A good way to understand the investment cycle is to look at what is called the Dow:Gold ratio. The Dow:Gold ratio (see Figure 4) calculates the number of ounces of physical gold bullion it would take to purchase’ one share of the Dow Jones during any given time period. When the ratio rises, as it did in the 1920s, 1960s and 1990s, it tells us that portfolios should be overweight stocks. When the ratio slumps, as it did in the 1970s and today, it tells us that portfolios should be overweight precious metals. 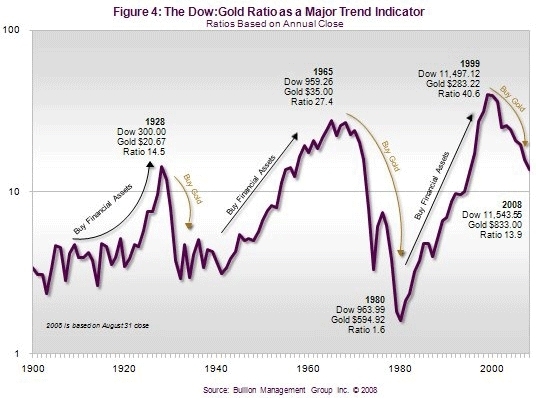 The three major stock market bubbles ended with the Dow:Gold ratio above 18:1, while the two major bear markets in 1933 and 1980 ended with the ratio at 1:1 At the height of the equities bull market in 1999, the Dow:Gold ratio peaked at nearly 40:1. As of August 31, 2008 the Dow:Gold ratio is 13:9 and falling. This means that now is the time to increase your portfolio allocation to gold and other precious metals. The current trend favouring hard assets such as gold, silver and platinum is expected to last another 10 years. Deleveraging is devastating the financial markets right now, and unfortunately it is likely to get much worse. For example, a financial institution with a net worth of $30 billion and assets of $600 billion can become insolvent if the value of its assets fall by only 5%. Without doubt, these are extraordinary times. You can take prudent action to preserve your portfolio’s value during this turbulent period by including an asset that has a long history of preserving value during structural monetary problems such as the US is currently experiencing. 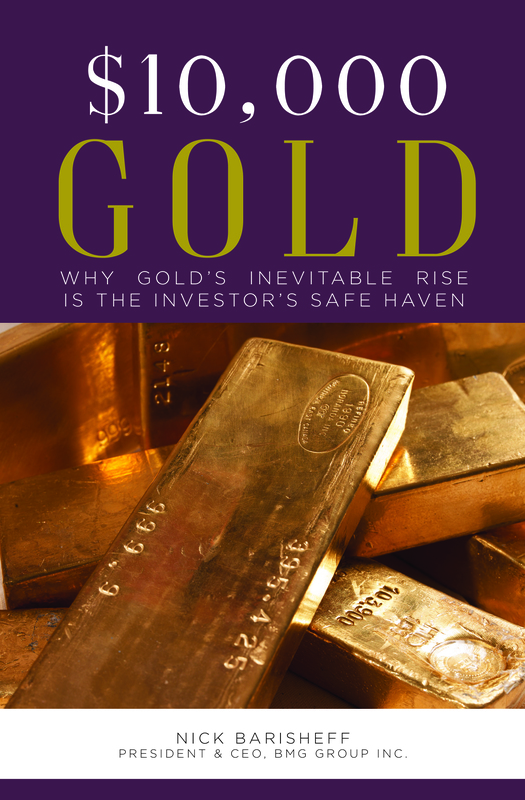 Bullion preserves your wealth in both deflationary and inflationary cycles and is the only asset class that protects wealth from a systemic financial crisis. A modest allocation of 10% to 15% into precious metals bullion not only diversifies, but adds assets that keep their value because they are unaffected by the explosive growth of continually depreciating printed money from the world’s central banks. Finally, the investment cycle, as indicated by the Dow:Gold ratio, is telling us to be overweight precious metals because true inflation is not only rising, but is substantially higher than officially reported numbers suggest.